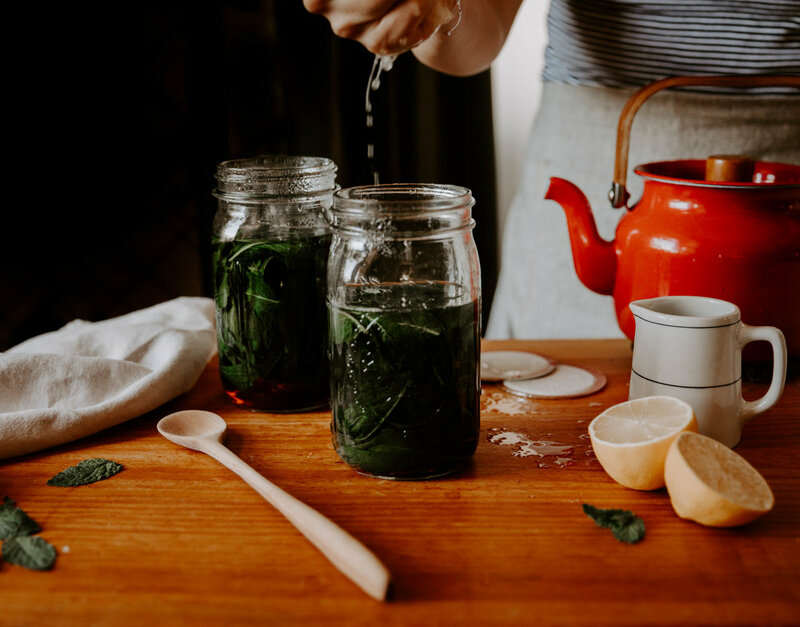 This is the second and final mint recipe before we move onto our next herb! I'm really excited to share this recipe with you guys. 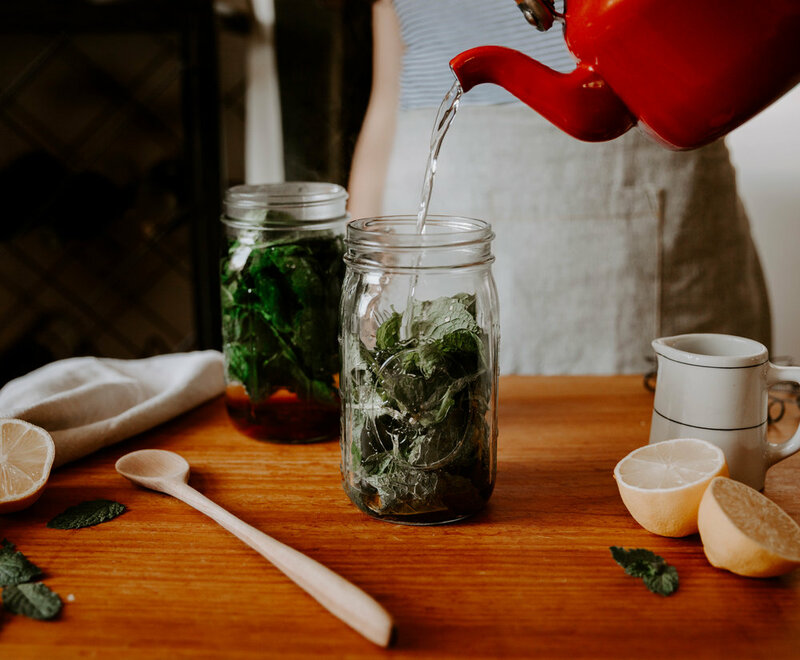 Sarah's Iced Mint Tea is ridiculously refreshing, and I love how easy it is to prepare straight out of the garden. We're in good company here because Sarah's approach to cooking is to never get too serious and just taste it all as you go! In fact, when she sent me this recipe she had to write it from memory because she hadn't ever written it down before. Sarah went on to write, "Let's empower people to be more free with their food prep!". I couldn't agree more, let's do it! Okay so the science behind this recipe is that your taste buds are always right. Just go by your taste and don't worry about anything else. Maple Syrup. I liked a little more sweetness to my tea, and the half cup amount felt right. If you don't necessarily want your tea sweet, start at about 1/4 cup and add more if needed. Lemon. This just totally depends on your preferences and how ripe the lemon is, but definitely start with the juice from 1 lemon. But buy at least 2 just in case. Use 1 half gallon or 2 wide mouth quart mason jars. Give the mint a quick rinse. Strip from stems if you haven't already and put in jar. Jar should be at least half full of leaves. If it isn't, I suggest adding more. Fill jar with boiling water. Cover with a ceramic plate. Let steep for 2-3 hours. Pour tea through a fine mesh strainer into a bowl with a spout (like a batter bowl or a large pyrex measuring cup). Add lemon juice and stir. Taste and if necessary add more lemon juice or maple syrup. Pour back into the mason jars and close tightly. Keep in the fridge and when ready, serve over ice. Garnish with a piece or two of mint if you're feeling fancy! Total time: 2 hrs. 7 mins.